The multi-purpose 2019 Calendar Template is a practical, versatile, Excel template that you can use to track your year, simply. This template was designed to make your life easier, whether you’re planning a holiday, trip, daily routine, work, college, or anything you can think up, this template has you covered. 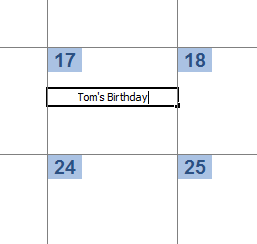 Our goal was to make an Excel calendar that is as simple to use as possible. I think we did pretty well. 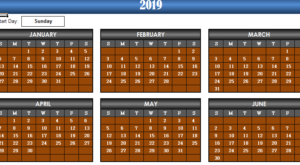 Check out the various details for the 2019 Calendar Template and download the free template, below. 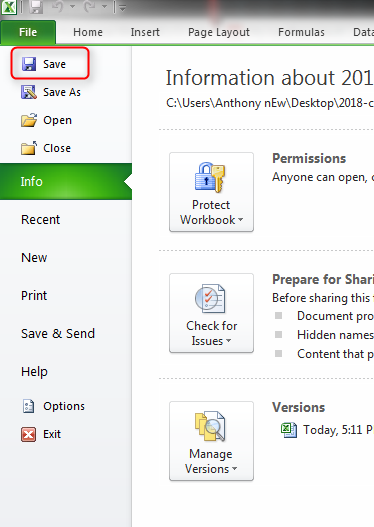 Start by clicking the link at the bottom of this page and choosing the current month from the list of options below, once you have opened the downloaded file. The design for the template is extremely simple and easy to manage. It’s structured just like your average hanging calendar. You can even print these sheets so you can write on them with pen or pencil. When you have something you want to write for a specific date, you will simply click inside the box of the date you want to save something in and write a note for yourself. This will make sure your changes and additions will stay after you close the program and go about your daily life. When you want to go to a new month, you can click the tabs at the bottom of your opened Excel sheet to choose the next month. Nothing can be simpler than the 2019 Calendar Template. Now, you may be the type of person that likes to print your calendar and keep it handy in the 3rd dimension; that’s fine too. This template was actually designed to print, it’s sized perfectly. 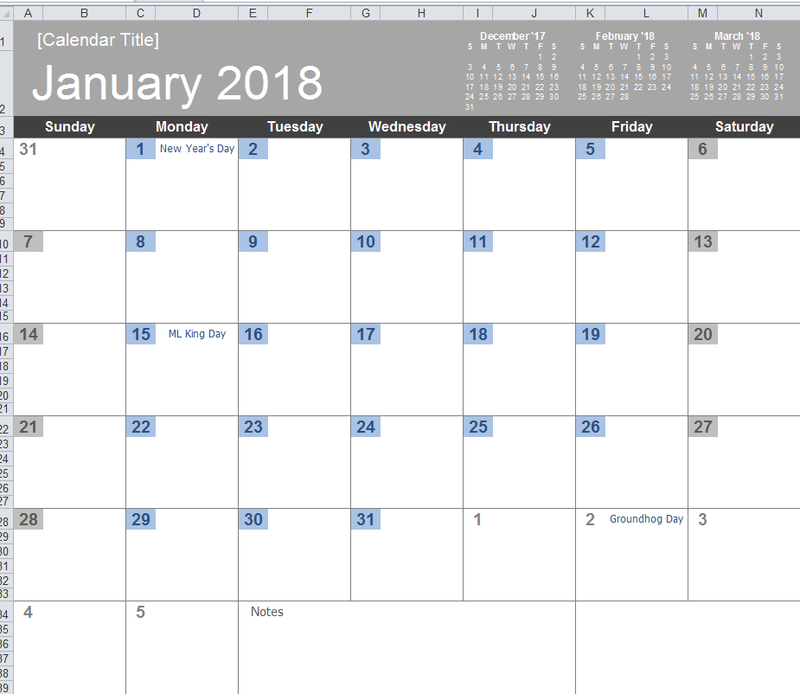 To print your 2019 Calendar Template, simply go to the month you want to print, then back to the top of the page. 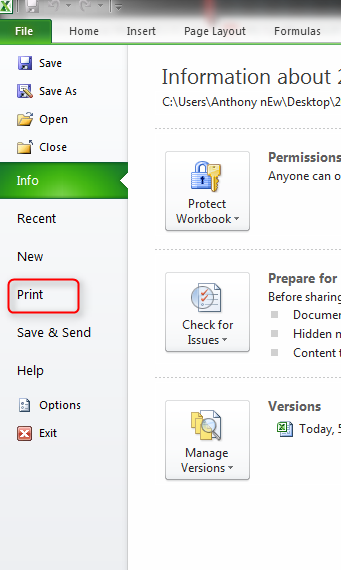 You will then select “File” then “Print” to print a physical copy of your calendar. You can hang them anywhere you think will be convenient, we recommend the fridge! See how easy it is to download and start using the free 2019 Calendar Template. Get started right now by clicking the download link below.